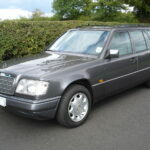 Onyx Grey metallic, grey cloth interior, Zebrano wood fascia, centre console and door cappings, 4 speed automatic gearbox, power steering, ABS, rear wash/wipe, driver and passenger airbags, storage box in front tray, original polished 8 hole alloy wheels, front and rear headrests, front electric windows, roof rails, cargo net and luggage cover, infra-red remote central locking, original Blaupunkt Milano player, full service history, 45,000 miles. 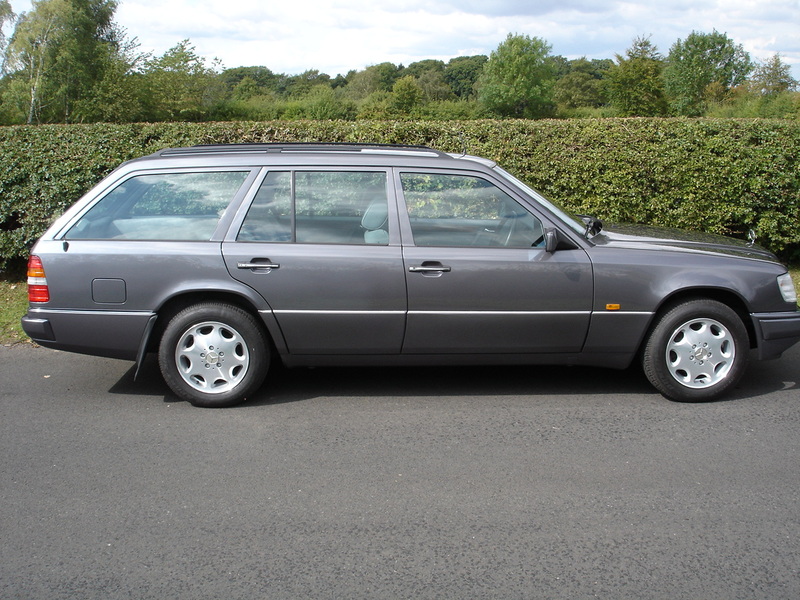 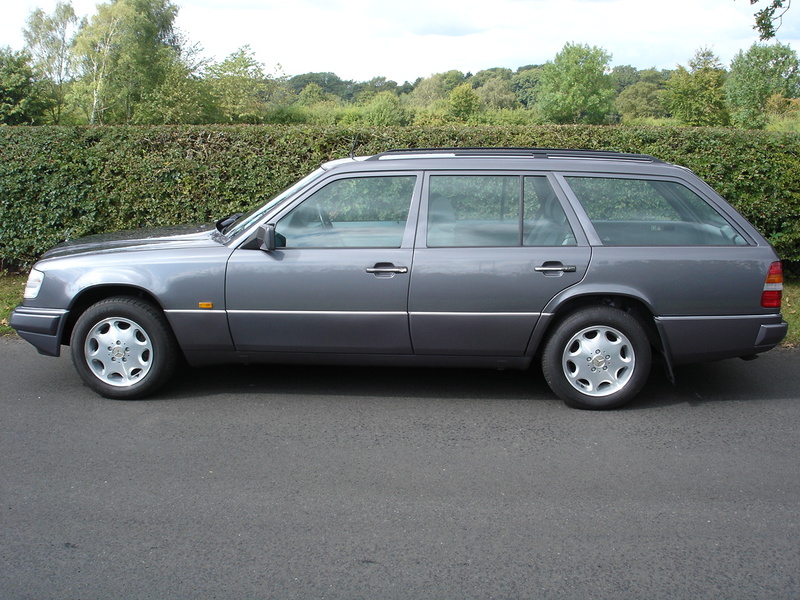 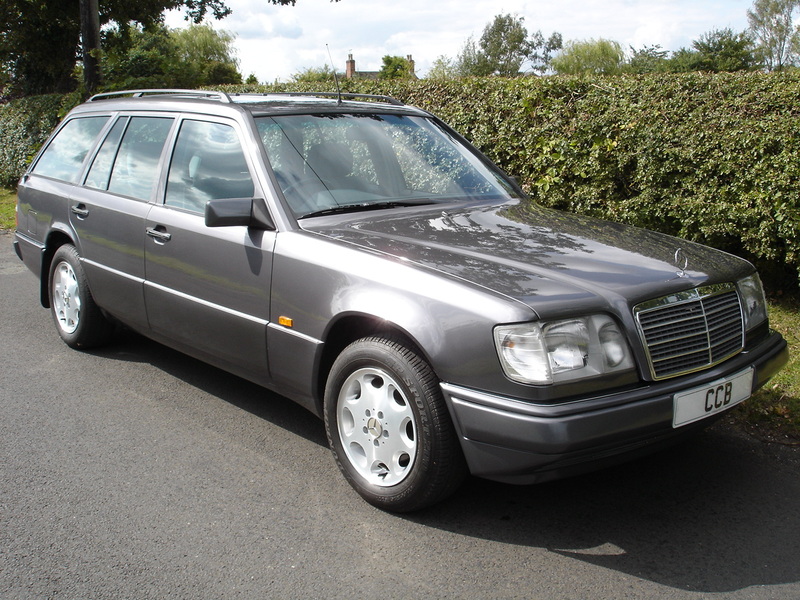 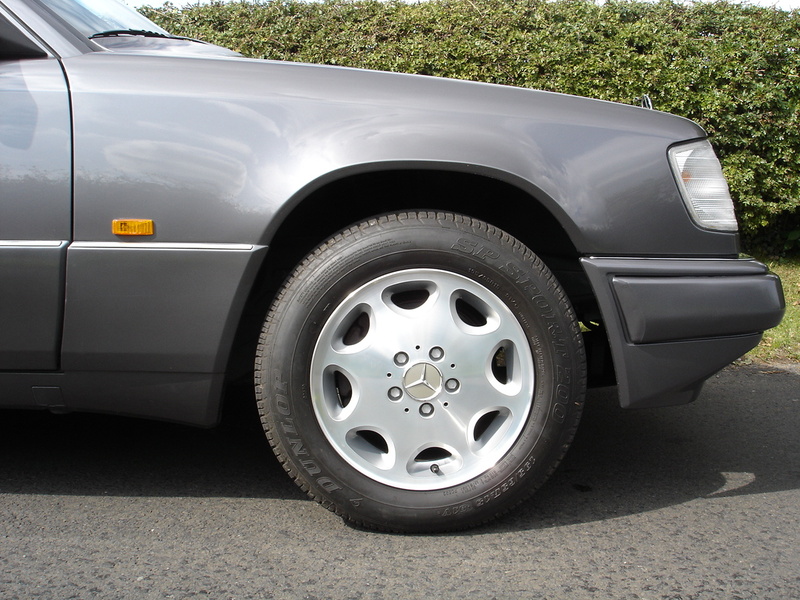 This pristine and sought-after example of the iconic W124 estate is a lovely thing to behold, and its survival in near-mint condition is due to the care and attention lavished on it by its owners, and the sparing use they have made of it. 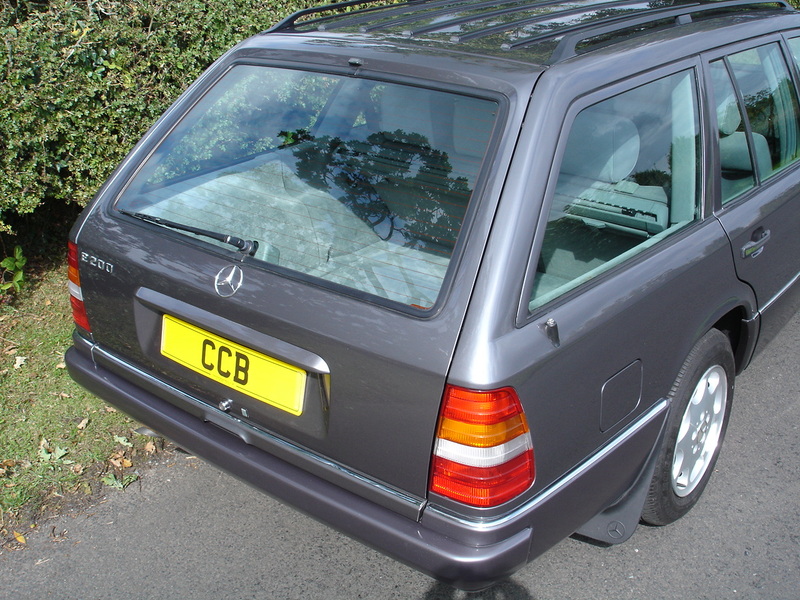 In the subtle colour scheme of pastel greys it looks discreet and elegant, and will be admired in any company. 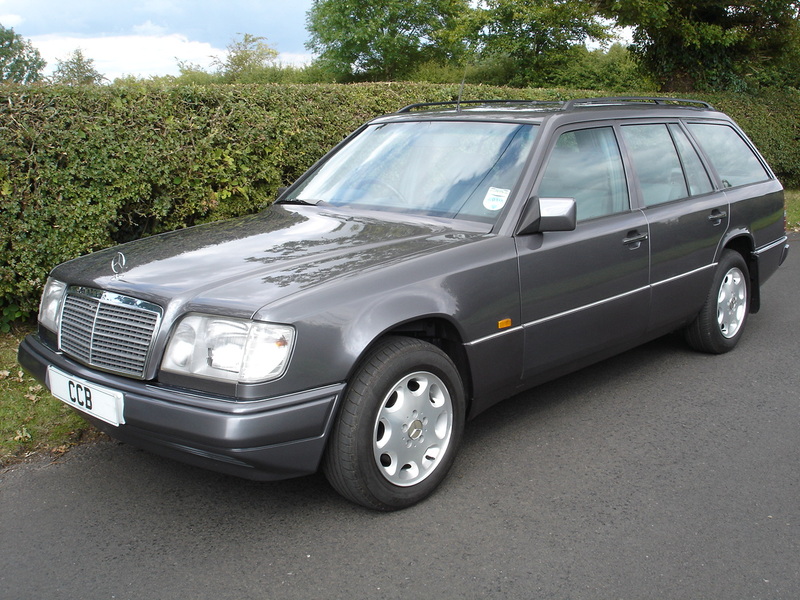 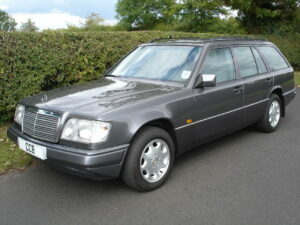 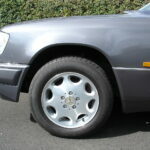 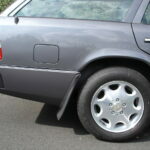 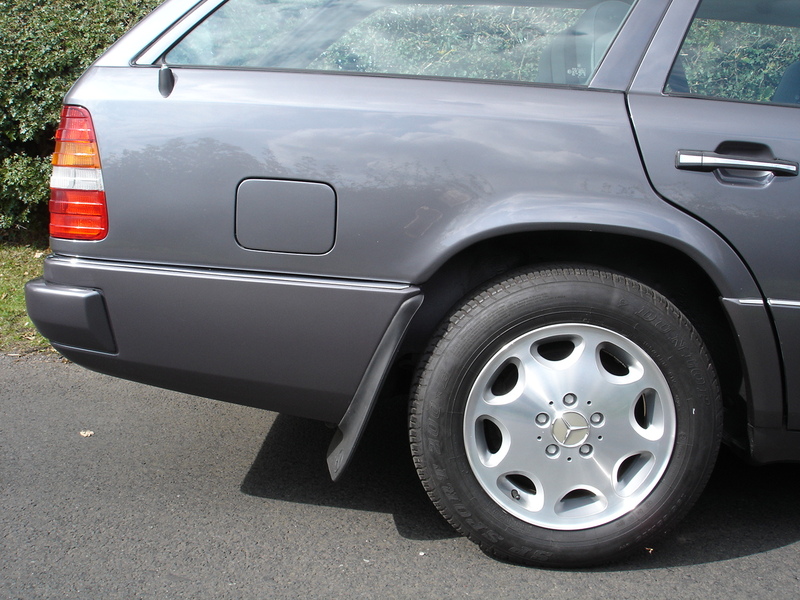 We are far more used to seeing examples of this model as high mileage workhorses which have been neglected and abused. 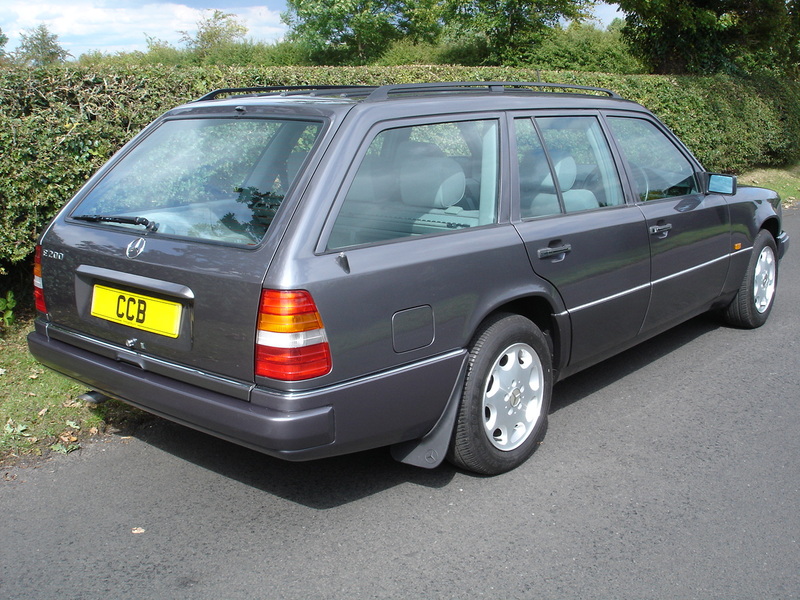 The few remaining in good condition have already become highly collectable modern classics, and this one is in such excellent order as to be almost unique in the present day. 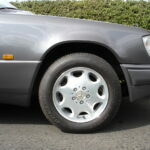 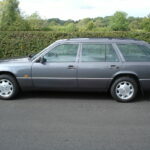 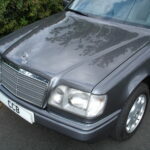 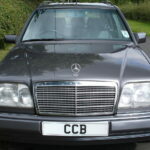 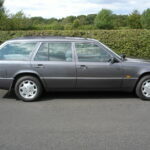 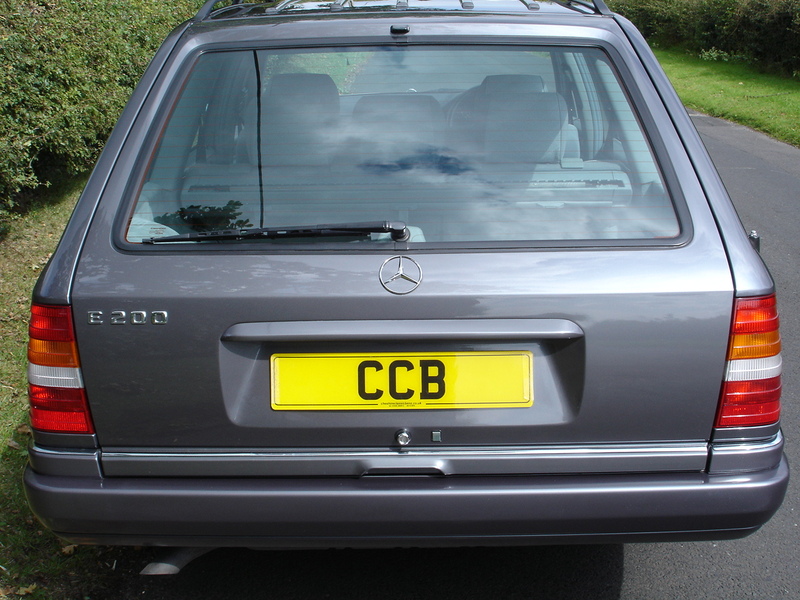 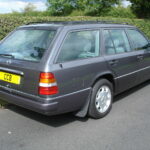 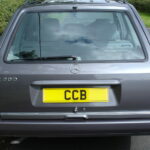 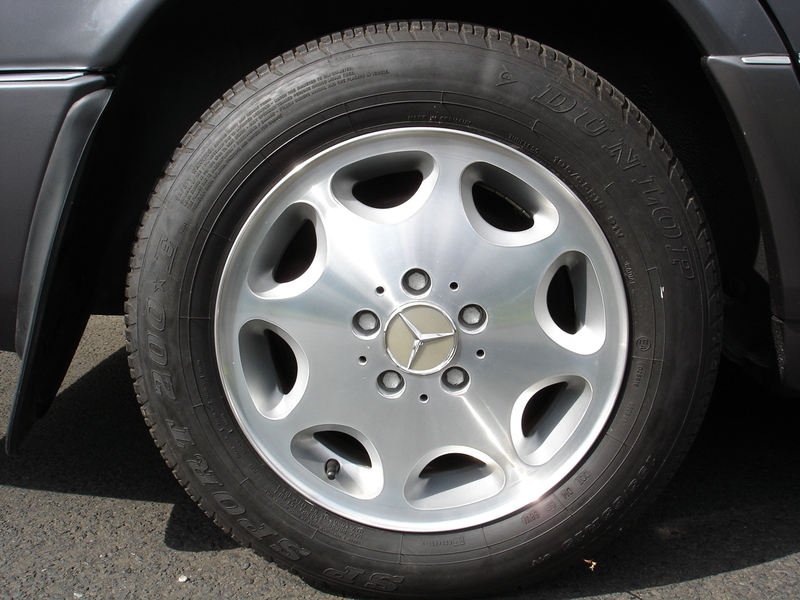 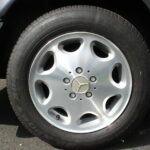 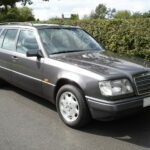 It was supplied new by Callanders Mercedes-Benz of Aberdeen in April 1996 to an owner in London who kept it for around four years until 2000, covering 26,000 miles in that time. 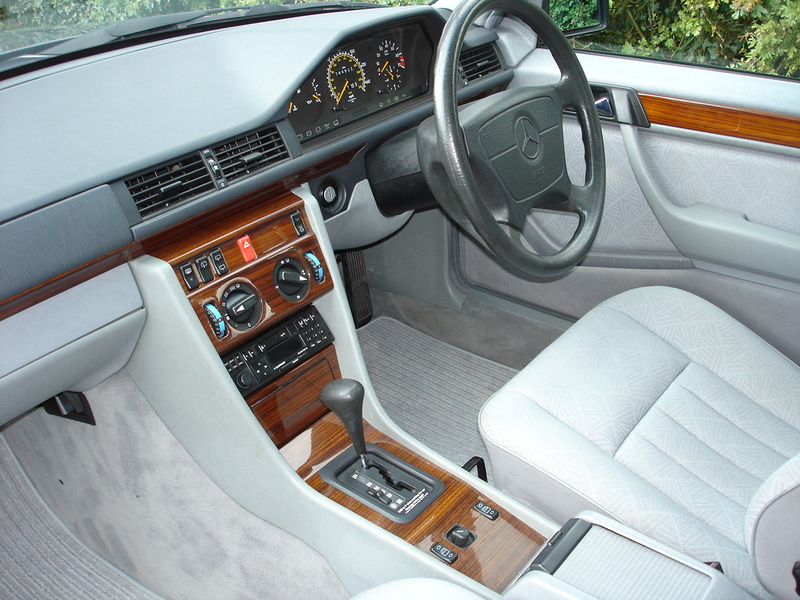 It then went to its second owner in Surrey who owned it until February 2014 and took the mileage up to 45,000. 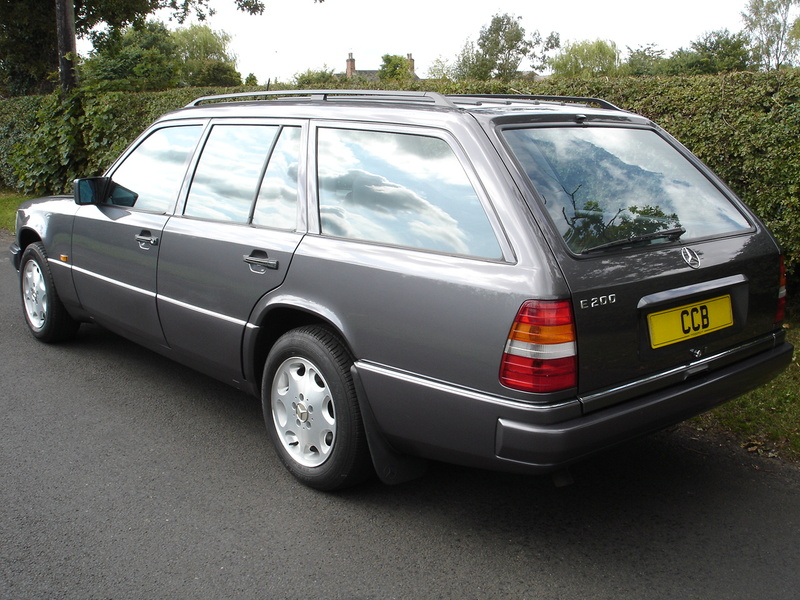 After that it briefly passed to a prolific collector of Mercedes cars who we know very well, who bought it principally to transport his ageing basset hound. 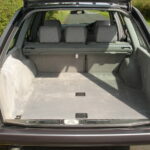 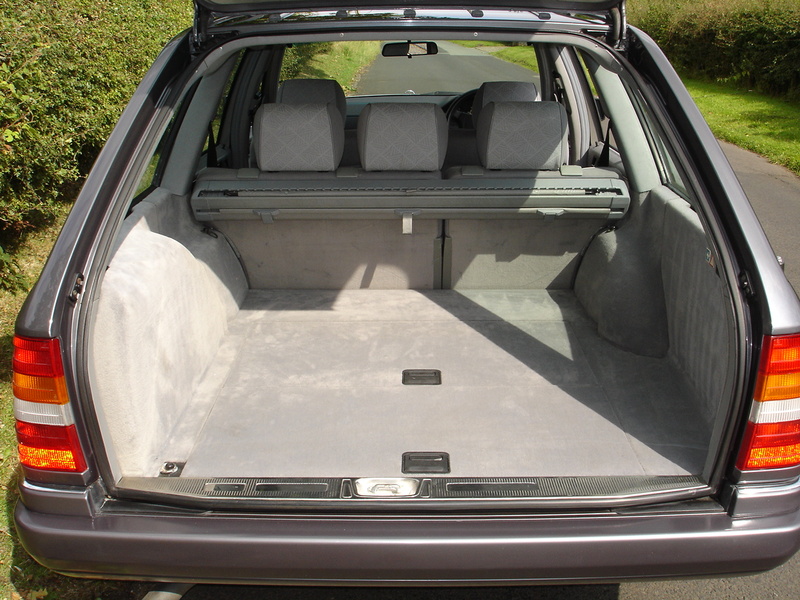 He soon realised however that this car was far too good for that task, and as his garage was full to overflowing he offered it to us after covering a mere 300 miles in it. 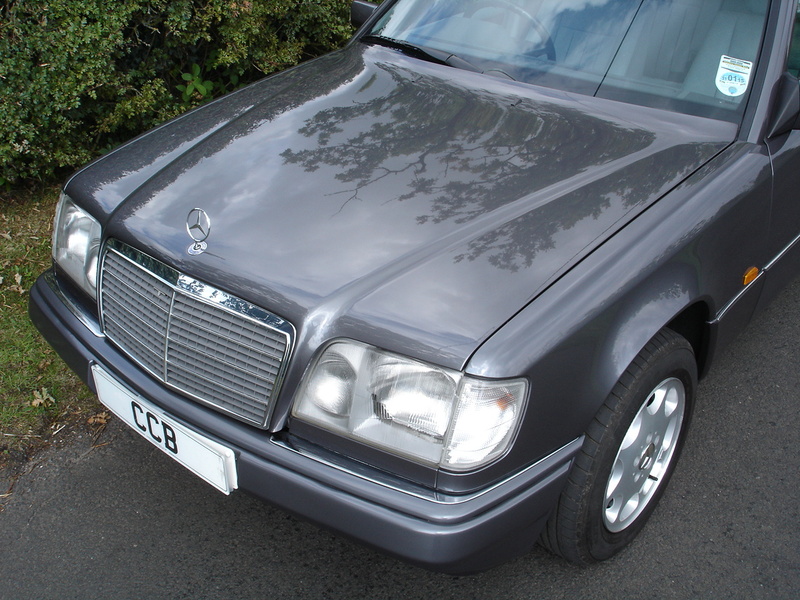 During its time with its first owner it was looked after by Geyfords Mercedes-Benz of Wallington, with four of their stamps in the book, all at the correct intervals. 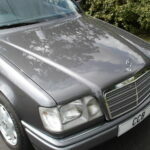 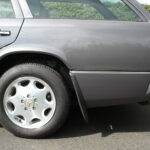 The second owner purchased it from a prestige car specialist, also in Wallington, Surrey, and entrusted all servicing to them for the entire time he owned it. 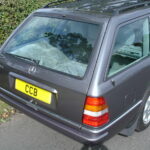 There are 11 of their stamps in the book, all at annual intervals, despite the car only covering between one and three thousand miles per annum throughout this period. 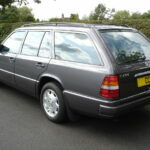 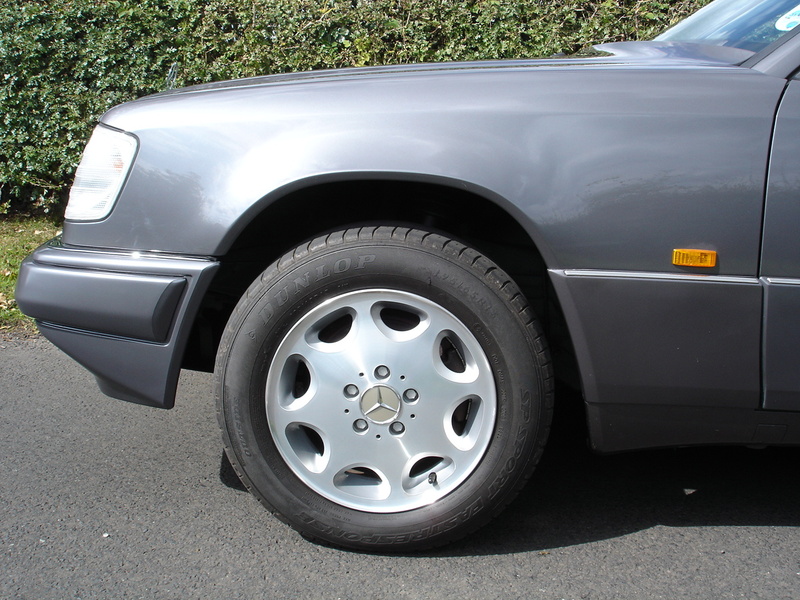 Prior to the latest owner taking over it was serviced again by an independent Mercedes specialist in Birmingham, so it still has a further 8,500 miles to go before any scheduled maintenance is due. 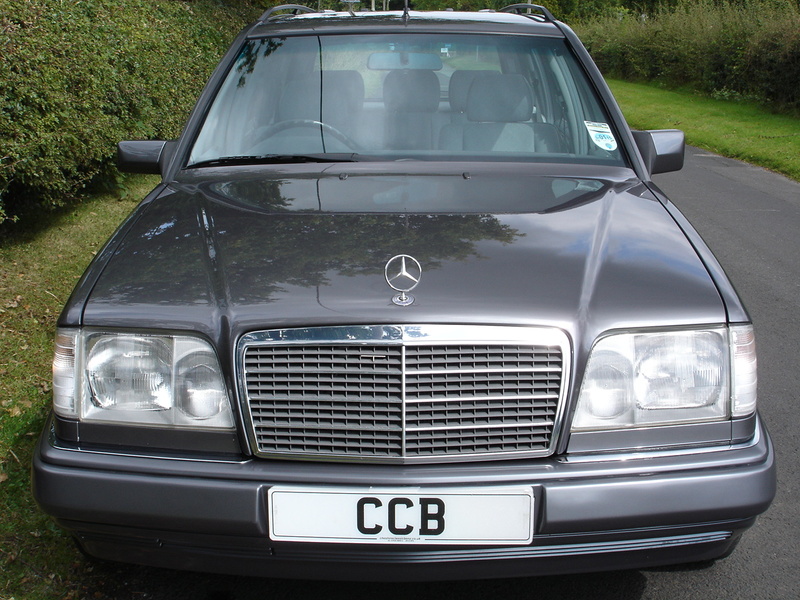 As well as the fully stamped service book we have almost every old MOT certificate since the car was three years old. 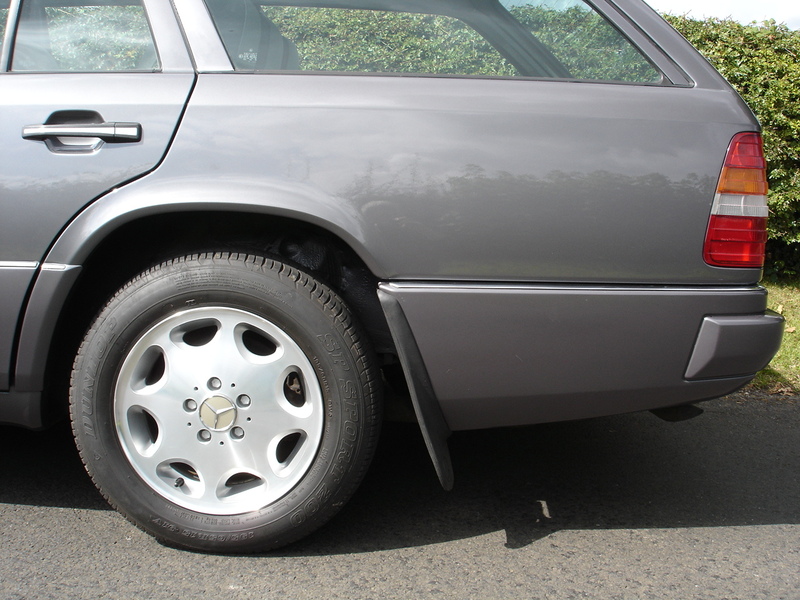 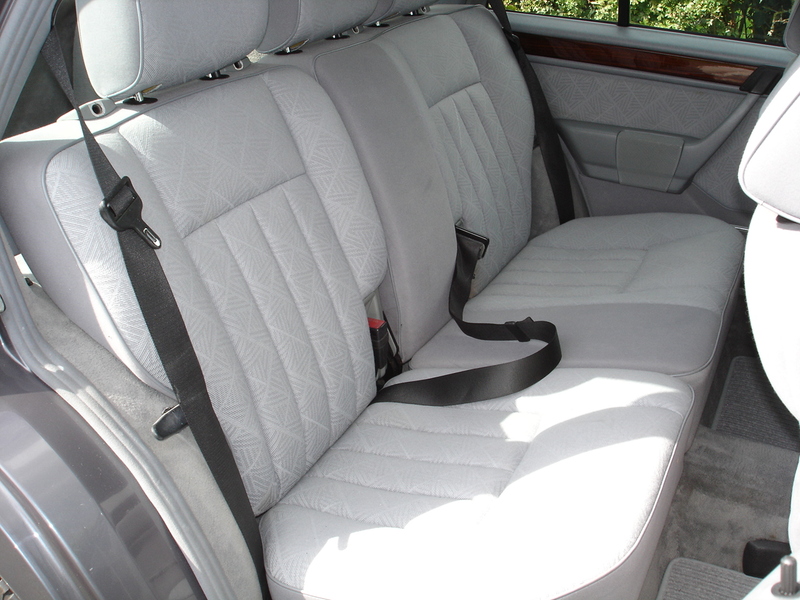 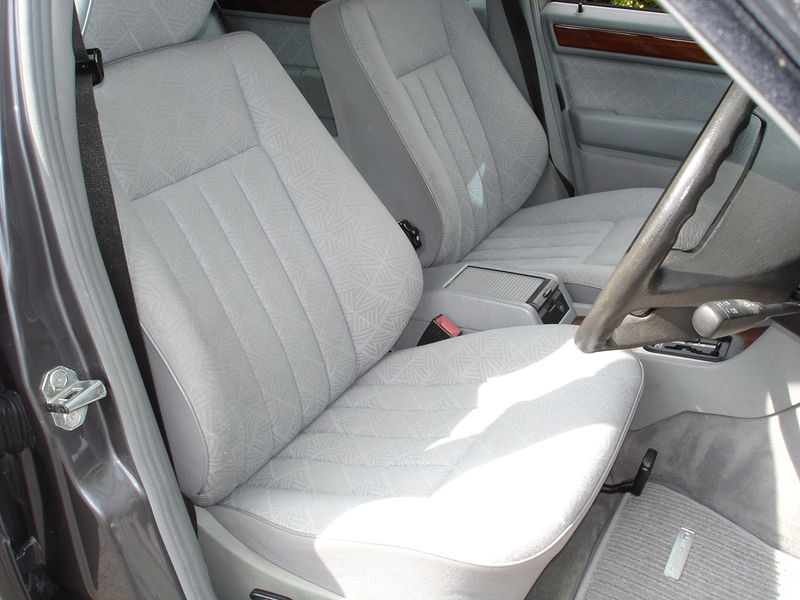 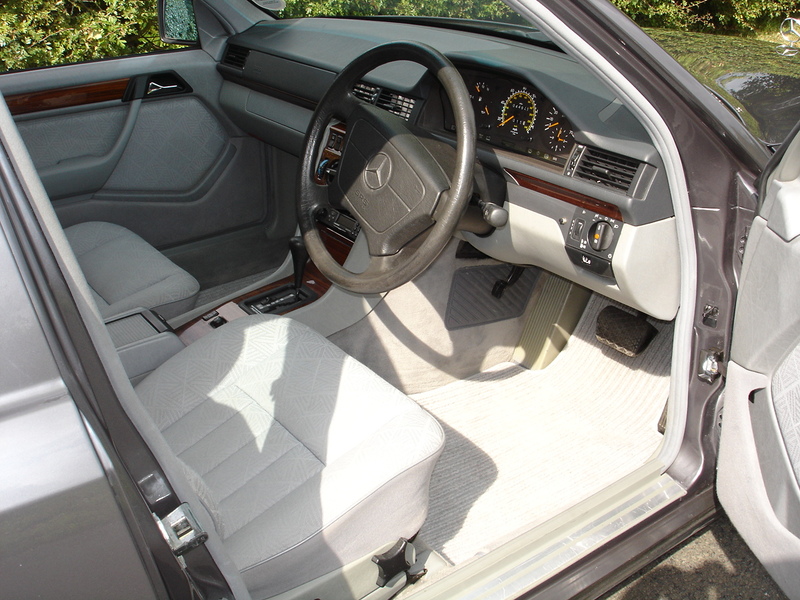 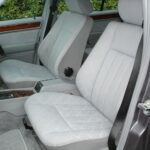 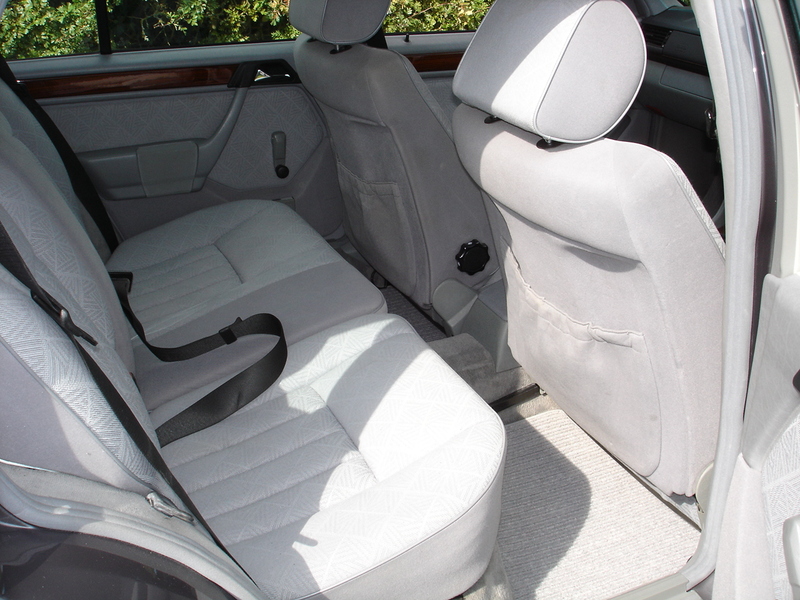 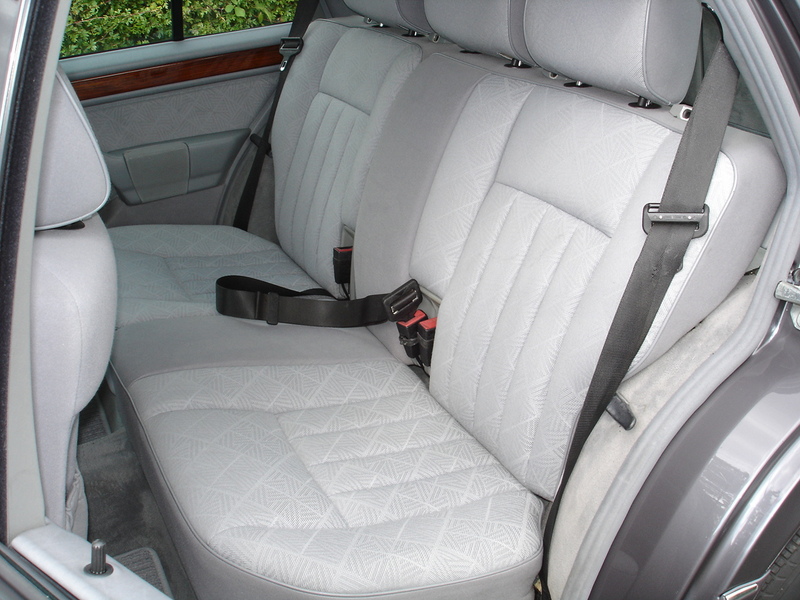 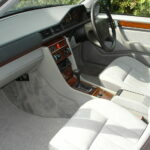 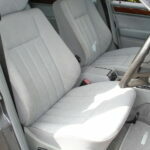 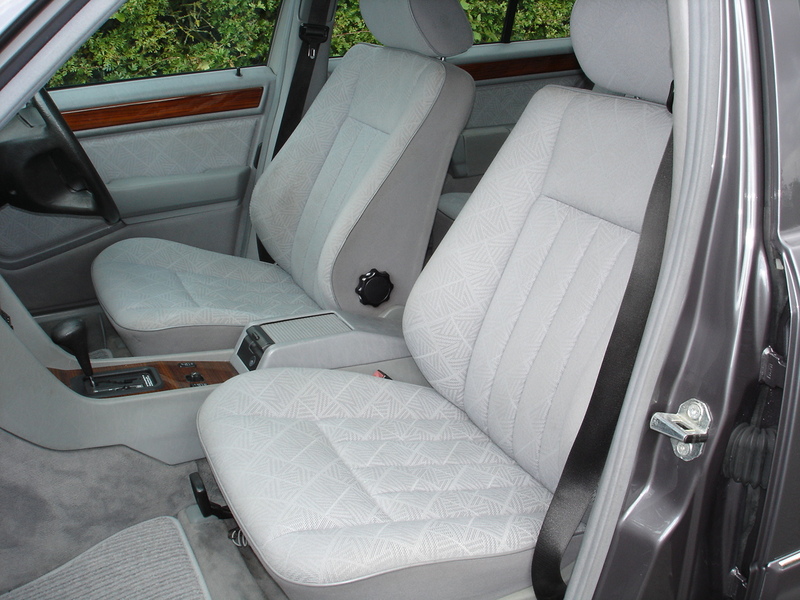 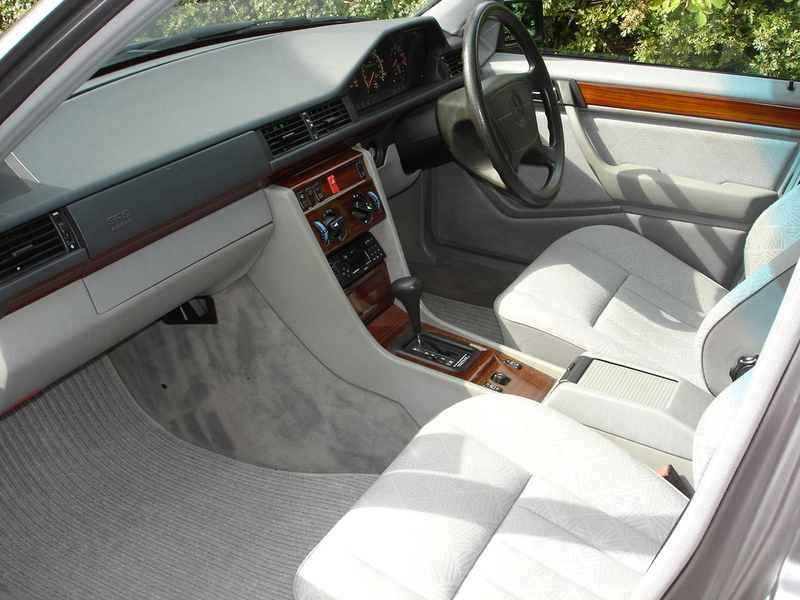 The car is in unbelievably excellent condition throughout. 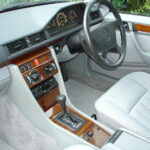 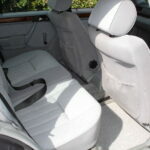 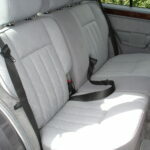 Everything is in working order and it has a driving experience which would be expected from a one or two year old car. 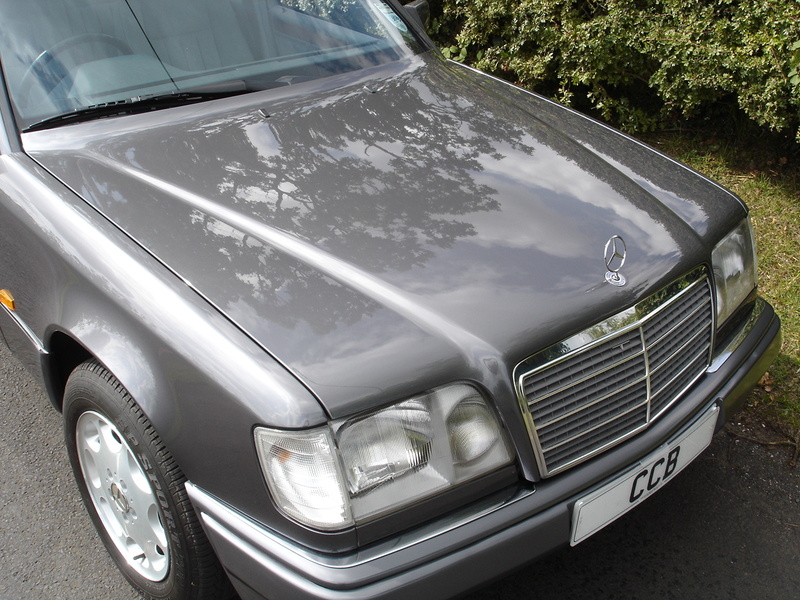 It will become a treasured and cherished possession for its new owner, as it has been for its previous ones, but one which can equally be called upon to earn its keep when required, in between winning concours prizes.